SSC Napoli is one of the most followed clubs in Italy.The club is well-known for their passionate fans.The club has won Serie A twice, and been runners-up six times, the Coppa Italia five times, the Supercoppa Italiana twice, and the 1988–89 UEFA Cup.The club had ups and downs throughout their history and many great players donned the Gli Azzurri jersey in their highs and lows.So today let us have a look at some of the greatest Napoli players ever. 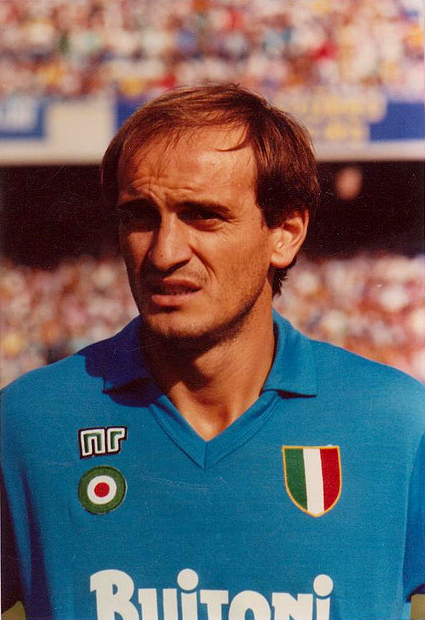 The Italian spent 11 years with Partenopei, where he played mostly as a sweeper.He is the club’s fourth highest appearance holder of all time with 396 matches. He won a Scudetto and a Coppa Italia with Napoli. 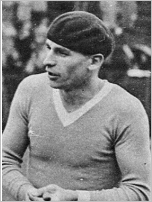 Vojak joined Napoli in 1929,where he became an early legend at the club, playing in a squad that featured Attila Sallustro. He stayed with the club until 1935, scoring over 100 goals for them in 196 appearances. Vojak also appeared for the Italian national football team once in 1932. Careca is regarded as one of the greatest strikers in the history of Brazilian football.He was a prolific, fast, opportunistic, and powerful striker, with excellent technique and great striking ability. Despite being right footed, he was also capable of scoring with his left foot, and he was known for his ability to score goals off-balance from angled shots even when running with the ball. The Brazilian striker was signed from Sao Paulo in 1987 and guided the club to a Scudetto and a UEFA Cup. With a total of 95 goals from 221 appearances, Careca is Napoli’s seventh top scorer of all time.